This post orginally appeared on KDnuggets in May of 2014 and came out of a panel discussion at Analytics Week in Boston that was moderated by Gregory Piatetsky of KDnuggets. 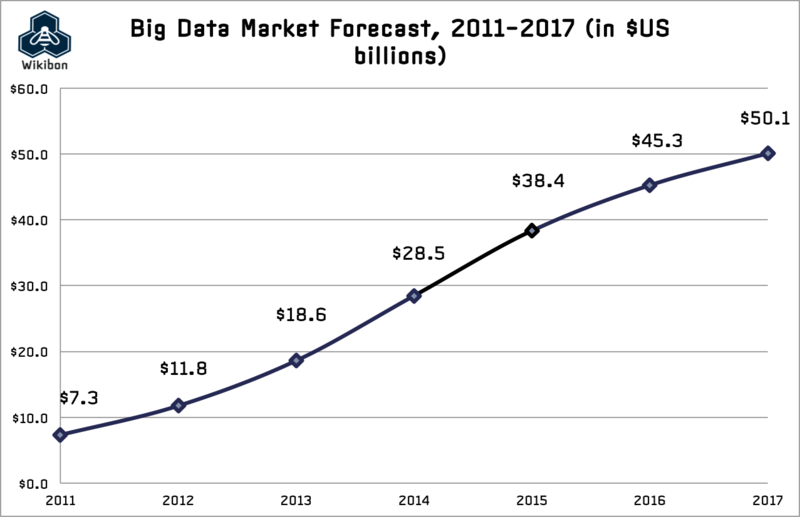 On the panel, I was asked to discuss where we see investment opportunities in the Big Data landscape and this post will expand on my comments. The lens through which I make these observations is from our role as a seed and early stage venture capital investor, which means we are looking at where market opportunities will develop over the next 3-5 years, not necessarily where the market is today. Benefits from significant data "network effects" such that the quality of their insights and solutions improve in a non-linear fashion over time as they amass more data and insights. Two points from the above criteria that are especially worth calling out are the concepts of actionable insights and data network effects. On the former, one of the recurring themes we hear from CIOs and LIne of Business Heads at large companies is that they are drowning is data, but suffering from a paucity of insights that change decisions they make. As a result, it is critical to boil the data down into something that can be acted upon in a reasonable time frame to either help companies generate more revenue, serve their customers better or operate more efficiently. 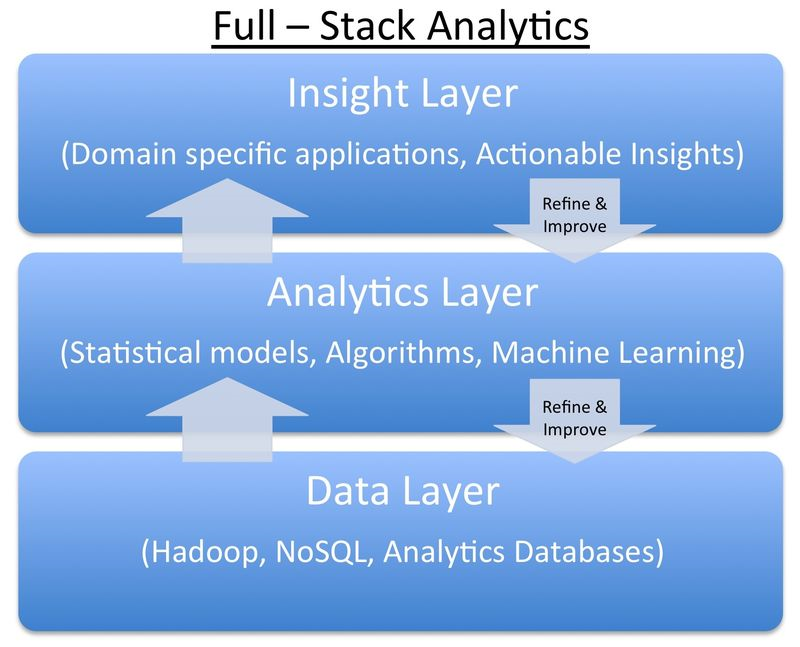 On the latter, one of the most important opportunities for Full-Stack analytics companies is to use machine learning techniques (an area my partner, Jeff Bussgang, has written about) to develop a set of insights that improve over time as more data is analyzed across more customers – in effect, learning the business context with greater data exposure to drive better insights and, therefore, better decisions. This provides not only an increasingly more compelling solution but also allows the company to develop competitive barriers that get harder to surmount over time. In other words, this approach creates a network effect where the more data you ingest, the more learning ensues which leads to better decisions and opportunities to ingest yet even more data. In the Flybridge Capital portfolio, we have supported, among others, Full-Stack Analytics companies such as DataXu, whose Full-Stack Analytics programmatic advertising platform makes billions of decisions a day to enable large online advertisers to manage their marketing resources more effectively; ZestFinance, whose Full-Stack Analytics underwriting platform parses through 1000s of data points to identify the most attractive consumers on a risk-adjusted basis for its consumer lending platform; and Predilytics, whose Full-Stack Analytics platform learns from millions of data points to help healthcare organizations attract, retain and provide higher quality care to their existing and prospective members. manage a massively scalable learning platform that is self-reinforcing. If your company can follow this recipe for success, you will find your future as a Full-Stack Analytics provider to be very bright! In my #ifiwereafounder tweets, I had a few comments related to hiring high performers and team building, not only for finding a co-founder, but also more generally. What I did not cover, as the CEO of one of my portfolio companies recently so correctly pointed out, is what it takes to manage and lead a team of high performers. This post will attempt to shed some light on this topic. Developing, managing, retaining and leading high performing team members, whether they are right out of school or seasoned executives, is obviously critical to the success of any start-up venture. But these folks, by the nature of their intelligence, curiosity and drive, can also at times be a handful to manage. They also know they are great and have plenty of other opportunities, so keeping them engaged, focused and happy is important. Create a sense of ownership and identity by connecting what they are working on with with the broader goals of the organization. This is critical across the board, but with A players there is a constant need to feel like their ample skills are being applied to issues that move the needle for the company. Sometime this is obvious (i.e. closing a key account from a sales perspective), but when it is not, make sure you have clearly articulated short and long terms goals and connect the dots for people. Ensure the goals are expressed in terms of ambition, not just dollars. As you connect the specific activities and tasks to broader goals, ensure these goals have meaning beyond just numbers. Yes, growing revenues, hitting budget and creating shareholder value are important, but high performers are motivated by feeling like they are part of something truly important that will create an impact on the world. Delegate and provide autonomy, but take an active interest in what they are doing. With a clear linkage between their team's focus and broader goals, strong leaders know that the best approach is to step out of the way and let their high performers execute fairly autonomously. That said, this should not be translated into a perception that you don't care about how they are doing what they are doing as high performers will be proud of the approach they have taken. If you take the time to understand this, they will reward you with further creativity. Find the right scope for their activities with a balance between stretching them, but not stretching them so much they feel like they are set up to fail. In a resource constrained early-stage company this is hard, as there is a tendency to keep putting more and more onto the plate of your high performers. This is great, but know their limitations, listen carefully to when they feel like they are getting stuck and intervene before this becomes demoralizing. Look for opportunities to let them stretch their wings outside of their core domain. If you have a high performer in a specific domain, seek out opportunities to get them exposure to other parts of the organization. This helps align their interests with that of the company more broadly, allows them to keep learning and facilitates cross functional cooperation across your team. Special projects, critical sales situations or thorny customer service issues can often be good situations to involve others in developing creative solutions. Recognize success and achievement. This is perhaps obvious, but as one of my CEOs observed, high performers all have a little diva in them. Acknowledge this diva publicly and privately, but also in a demandingly honestly way as false praise for easy accomplishments is seen through pretty quickly. Take pride in their development. Our best CEOs view their job as grooming the next generation of leaders, and they revel in the success when people step up. If seeing these unexpected accomplishments and this growth and development does not get you jazzed, it maybe you are not in the right role. Take an active interest in their life outside of work. Early stage companies can be all consuming and it is easy to lose sight of the fact that your high performers will have a life outside of the office. Recognize this, know what is important to them and understand if there are extenuating circumstances outside of work that may impact their abilities inside work. I am sure I have missed some points, so let me know what works well for you! I would also like to give a special thanks to several CEOs of Flybridge portfolio companies who provided invaluable advice on this post. They are the real rock stars, and I would like to publicly acknowledge their inner divas.